I'm going to tell you the one secret to waking up early, and you're not going to like it because it's really simple. You just have to get up. The second your alarm goes off, don't even think about it. Just stand up and get away from your bed. It really is that simple. Of course, there are other tips that will make your morning better and make it a little easier to have that kind of discipline first thing in the morning, which we will get into below. First, though, I challenge you to get out of bed the moment your alarm goes off and do it for 15 days in a row. Even on weekends (feel free to set your weekend alarm back an hour or so to start, but still set an alarm). If you can get in the habit of getting up right away, the rest of your morning routine, and learning how to wake up earlier, will be ten times easier. Establishing a routine of early mornings is the hard part, but I find setting a routine as soon as possible will help you to develop better habits over time. Why are you waking up earlier? Is it to keep you from being late or rushing out the door? Or do you want time to workout in the mornings? Whatever your reasoning, work that into your routine. Also consider adding something "fun", like listening to your favorite music or eating your favorite breakfast. Having something to look forward to can help you to get up with a bit more motivation. 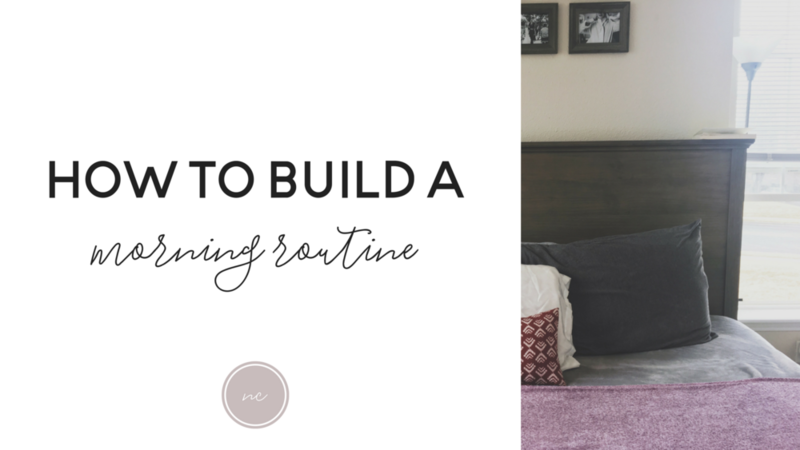 For tips on establishing a morning routine, you can read the blog post below, or do a quick google search, there are hundreds of millions of ideas to work from. This tip can make all the difference in the world. No matter how well I prepare the night before or how much sleep I get, waking up at 3 am still left me groggy. That completely changed when I started using the Sleep Cycle app. There are tons of apps, alarm clocks, and even lamps, that do similar things as this one - but this is free and what I use so that's what I'm going to talk about. The sleep cycle app works on your phone and uses the speaker to listen for changes in sound to track your sleep cycles. You set an alarm and the app will wake you up within the 30 minutes prior to your alarm time. What this allows the app to do, is to wake you up at a point when you are in the lightest sleep phase. That way, you're not mid-dream when your alarm clock goes off. You'll wake up feeling less groggy and you will be less likely to hit snooze. Once you start to set your alarm for the same time every day (yes even on weekends), your body will begin to adjust to the schedule and you'll find yourself waking up at the same time every time. For me, I tend to wake up right around 3:53 am. The Sleep Cycle app has a paid version as well that offer more insights and options, but personally, I use the free option and it's been a huge help to me and my husband. If you want to wake up at 6 am every day, your bedtime cannot be 2 am. Sorry, but I don't want you to die :) Getting enough sleep and going to bed at a consistent time is all part of waking up earlier. You might be called "a grandma" or a "Debby Downer" but you're going to be well rested and ready to take over the world, so who's the real winner? Personally, I'm in bed by 9 pm and awake at 4 am. Weekends I usually go to bed closer to 10 pm and I'm awake between 6 or 7. That might sound lame, but because I've done this for over a year, my body is seriously tired by bedtime and I wake up at 6 most weekends naturally. Getting your body into a pattern is simple, but it will take time. Start small. You can't change your entire schedule in two days, but you can push the time back by 15 minutes every few days. If you wake up at 8 am now and you want to wake up at 6 am, give yourself 8-10 days to do that. Same with your bedtime. You might not be tired at 10 pm right now, but at least get into bed and turn off the lights. Get off your phone, read a book, meditate, stretch, stare at the ceiling if you can't fall asleep. Get your body in the routine and your mind will adjust. Now that you know how to get up earlier, here are some ways to use that extra time and how it can help you be more productive and live a healthier life. Waking up earlier can also help you have Better Problem Solving Skills, More energy, be more organized, an easier commute, and improve your mental health. So what do you do with all these new found abilities?? Read more, make time for prayer, meditate, workout, eat a healthy breakfast, catch up on the news, make time for a hobby, enjoy a cup of coffee at a cafe, go for a walk, do some yoga, learn a new skill or language. You're up early and you have all this extra time for things YOU want to do, make sure you take advantage of that! What time do you wake up right now? What time do you want to wake up? Let me know in the comments!